Cops who pulled over a car in a town centre were stunned to find 15 people wedged inside – including two people stuffed in the boot. 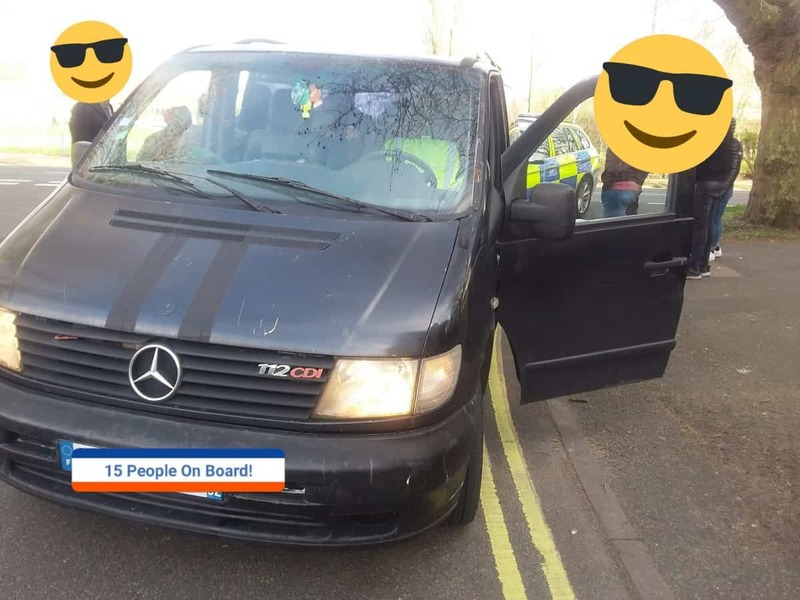 Officers stopped the eight-seat black Mercedes on Saturday (March 23) as it drove through Ipswich town centre in Suffolk. Police said the driver had been reported for several alleged offences and issued the vehicle with a PG9 prohibition noticing as it had defects. Police or the Driver and Vehicle Standards Agency (DVLA) can issue a prohibition to drivers if a fault is found on the vehicle which is deemed to make it unsafe. Car owners can either be issued an immediate prohibition, meaning the vehicle is immobilised and the owner cannot drive it, or a delayed prohibition and the owner has 10 days to fix it.